If you’re stopping by from the 2012 Ultimate Blog Party … WELCOME! 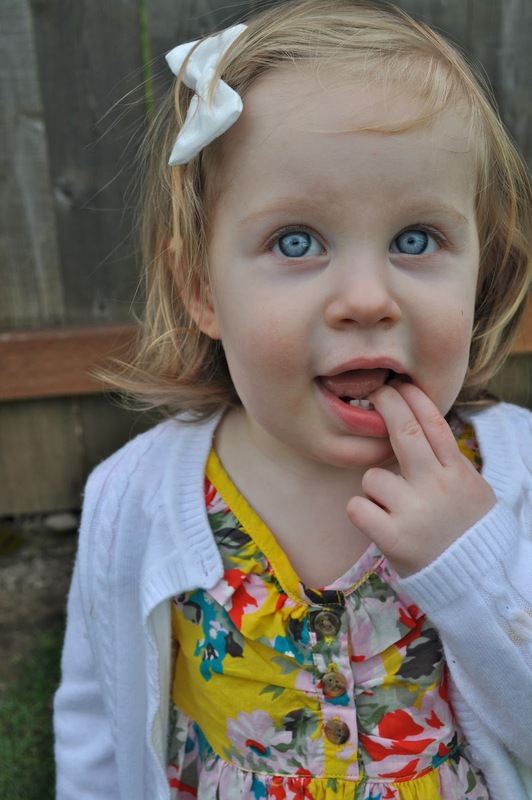 My name is Gretchen and I’ve been blogging since January 2010 when I found out I was expecting my sweet daughter, Jemma. She is now 18 months old and busy as a bee :) This August we’ll be bringing a baby brother on board, and my husband, Dominic, and I couldn’t be more excited! For the last 7 months I’ve been a stay-at-home mama and I’ve loved every minute of it … well, all except for the minute this morning when Jemma dumped Cheerios on the floor and walked all over them, smiling at every crunch she heard. We’re currently building a house, planning for baby brother, and getting ready for spring/summer … whenever it decides to arrive in the Pacific Northwest. Now that you know a bit about me, be sure to leave a comment with your blog address and I’ll stop by when I have a few minutes to myself :) You can also find me on GFC, Facebook, Twitter, and Pinterest! new follower from the UBP 2012-loving your blog!! hey i am a new follower i hope you come by and check my blog out and maybe follow and comment too!